President Donald Trump has already lived up to a number of his campaign promises, but he made a huge move this week that should (again) prove that everyone who voted for him made the right decision. 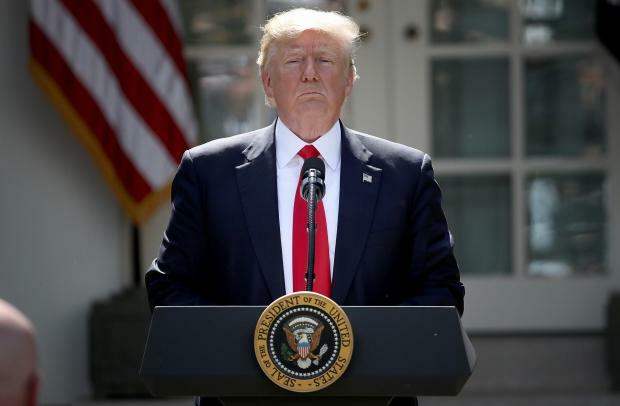 By pulling the U.S. out of the Paris Climate Agreement, Trump has shown his conservative detractors that they should spend less time worrying about his Twitter feed and more time thanking their lucky stars that Hillary Clinton is not in the White House. Trump delivered a speech in the Rose Garden to announce the move on Thursday, and he did so with a surprising amount of grace and political savvy. While Democrats were running around claiming that this was the end of the world as we know it, Trump reached across the aisle and asked them to help his administration negotiate a better climate deal with the rest of the world. Trump emphasized that the reasoning behind his decision had nothing to do with some imaginary overture to the fossil fuel industry and everything to do with protecting American jobs. Trump’s move was predictably attacked by liberals, but he drew a tremendous amount of praise from conservative groups like the Tea Party Patriots and the Heritage Foundation, both of whom released statements in the wake of the pullout. The first step in making America great again is to actually regain control over our own decisions. Trump went a long way towards realizing that future with this decision, and every American who works in the fossil fuel industry – or who owns a car or a central air conditioning system – should be glad he did.